University of Minnesota professor Abdennour Abbas and his research team have been conducting basic research on the interactions between gold nanoparticles and cell surfaces to create novel sensors. 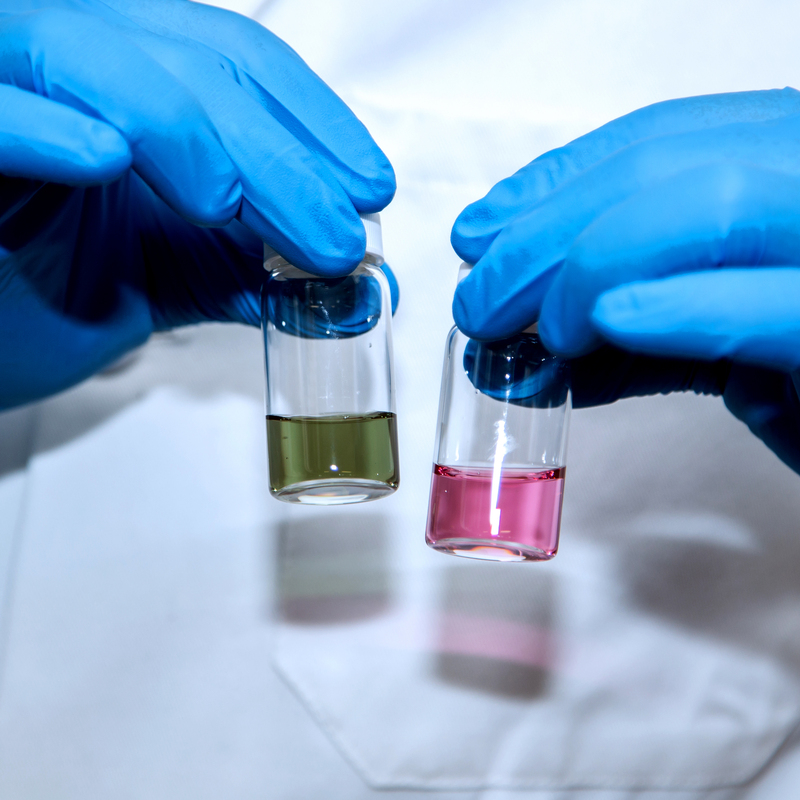 Differently shaped gold nanoparticles like the flat triangular gold (green solution on left) and spherical gold (red-pink solution on right) not only appear different, they can have very unique interactions with cells that can be exploited to create novel reactions that yield detectable signals like color changes or glowing reactions. Researchers from the University of Minnesota (UMN) have developed a method to screen and identify harmful or antibiotic-resistant bacteria within one hour using a portable luminometer. Traditional diagnostic methods often require complex equipment and lab work that can take days. 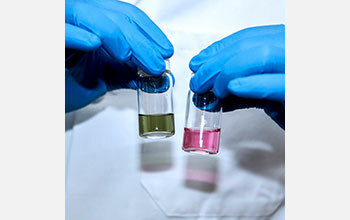 The new method uses chemiluminescence, or the emission of light during a chemical reaction. It was developed with the food industry in mind and could also be used in health care settings. In a published study, researchers from the College of Food, Agricultural and Natural Resource Sciences and the College of Science and Engineering at UMN demonstrated the new technology by analyzing surface swabs and urine samples for the presence of small concentrations of methicillin-resistant Staphylococcus aureus (MRSA), a bacteria that causes more than 11,000 deaths in the U.S. every year. "Rapid microbial detection in less than two hours is not only vital to prevent food poisoning, but also to fight antimicrobial resistance by helping physicians make informed decisions before prescribing antibiotics," said Abdennour Abbas, a professor in the Department of Bioproducts and Biosystems Engineering, who directed the research. "More work is needed to apply this technology to more complex samples such as food and crops, but we�re hopeful that progress will continue in this area." The research was supported in part by the National Science Foundation (grant CBET 16-05191).